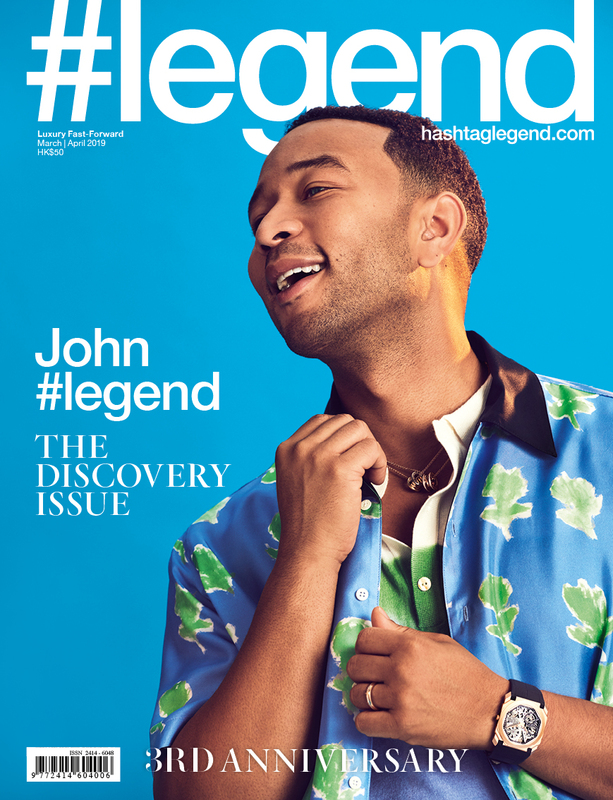 Hashtaglegend.com is the digital service operated by Legend Publishing (Hong Kong) Ltd and consists of information and content provided by Legend Publishing (Hong Kong) Ltd, its parent, affiliates, subsidiaries, operational providers, partners and other third parties. "Subscriber" means each person who establishes or accesses a connection ("Account") for access to and use of hashtaglegend.com. (A) This Agreement sets forth the terms and conditions that apply to use of hashtaglegend.com by the Subscriber. By using hashtaglegend.com, the Subscriber agrees to comply with all of the terms and conditions hereof. The right to use hashtaglegend.com is personal to the Subscriber and is not transferable to any other person or entity. The Subscriber is responsible for all use of the Subscriber's Account and for ensuring that all use of the Subscriber's Account complies fully with the provisions of this Agreement. (B) Hashtaglegend.com shall have the right at any time to change or discontinue any aspect or feature of hashtaglegend.com, including, but not limited to, content, hours of availability, and equipment needed for access or use. The Subscriber shall be responsible for obtaining, maintaining and paying all telephone, computer hardware and other equipment needed for access to and use of hashtaglegend.com. (A) The Subscriber shall use hashtaglegend.com for lawful purposes only. The Subscriber shall not post or transmit through hashtaglegend.com any material which violates or infringes in any way upon the rights of others, which is unlawful, threatening, abusive, defamatory, invasive of privacy or publicity rights, vulgar, obscene, profane or otherwise objectionable, which encourages conduct that would constitute a criminal offense, give rise to civil liability or otherwise violate any law. Any conduct by a Subscriber that in hashtaglegend.com’s discretion restricts or inhibits any other Subscriber from using or enjoying hashtaglegend.com will not be permitted. The Subscriber shall not use hashtaglegend.com to advertise or perform any commercial solicitation. (B) hashtaglegend.com contains copyrighted material, trademarks and other proprietary information, including, but not limited to, text, software, photos, video, graphics, music and sound, and the entire contents of hashtaglegend.com are copyrighted as a collective work under copyright laws. The Subscriber may not modify, publish, transmit, participate in the transfer or sale, create derivative works, or in any way exploit, any of the content, in whole or in part. The Subscriber may download copyrighted material for Subscriber's personal use only. Except as otherwise expressly permitted under copyright law, no copying, redistribution, retransmission, publication or commercial exploitation of downloaded material will be permitted without the express permission of Legend Publishing (Hong Kong) Ltd, its parent, affiliates, subsidiaries, operational providers and/or partners. The Subscriber acknowledges that it does not acquire any ownership rights by downloading copyrighted material. (C) The Subscriber shall not upload, post or otherwise make available on hashtaglegend.com any material protected by copyright, trademark or other proprietary right without the express permission of the owner of the copyright, trademark or other proprietary right and the burden of determining that any material is not protected by copyright rests with the Subscriber. The Subscriber shall be solely liable for any damage resulting from any infringement of copyrights, proprietary rights, or any other harm resulting from such a submission. The Subscriber also permits any other Subscriber to access, view, store or reproduce the material for that Subscriber's personal use. The Subscriber hereby grants hashtaglegend.com the right to edit, copy, publish and distribute any material made available by the Subscriber on hashtaglegend.com. (D) The foregoing provisions of Section 6 are for the benefit of Legend Publishing (Hong Kong) Ltd, its parent, affiliates, subsidiaries, operational providers and partners and each shall have the right to assert and enforce such provisions directly or on its own behalf. Hashtaglegend.com contains links and indicators to other websites and resources on the Internet controlled by third parties. These links are provided solely as a convenience to the Subscriber and do not constitute an endorsement by hashtaglegend.com, its parent, affiliates, subsidiaries, operational providers and/or partners of any third party resources or content. Any concerns regarding external links or websites should be directed to the respective website administrator or system operator. Hashtaglegend.com, its parent, affiliates, subsidiaries, operational providers and/or partners reserves the right, in their sole discretion, to terminate links with any third parties or other websites that are deemed inappropriate or inconsistent with hashtaglegend.com. Hashtaglegend.com, its parent, affiliates, subsidiaries, operational providers and/or partners make no representations about the content, functionality or practices of such third party sites and resources and disclaim any and all warranties, whether expressed or implied. (A) The Subscriber agrees the use of hashtaglegend.com is at the Subscriber’s sole risk. Neither hashtaglegend.com or Legend Publishing (Hong Kong) Ltd, its parent, affiliates, subsidiaries, operational providers and partners warrant that hashtaglegend.com will provide an uninterrupted or error-free service, nor as to the results that may be obtained from use of hashtaglegend.com, nor as to the accuracy, reliability or content of any information service or merchandise provided through hashtaglegend.com. (B) Hashtaglegend.com is provided on an "as is" basis without warranties of any kind. (D) In addition to the terms set forth above neither hashtaglegend.com or Legend Publishing (Hong Kong) Ltd, its parents, affiliates, subsidiaries, employees, directors, officers, agents, operational providers and/or partners shall be liable regardless of the cause or duration, for any errors, inaccuracies, omissions, or other defects in, or untimeliness or unauthenticity of, the information contained within hashtaglegend.com, or for any delay or interruption in the transmission thereof to the user, or for any claims or losses arising therefrom or occasioned thereby. None of the foregoing parties shall be liable for any third-party claims or losses of any nature, including, but not limited to, lost profits, punitive or consequential damages. Additionally, there are no warranties as to the results obtained from the use of information contained within hashtaglegend.com. Legend Publishing (Hong Kong) Ltd, its parent, affiliates, subsidiaries, operational providers and/or partners shall have the right, but not the obligation, to monitor the content of hashtaglegend.com including chat rooms and forums, to determine compliance with this Agreement and any operating rules established by Legend Publishing (Hong Kong) Ltd and to satisfy any law, regulation or authorized government request. Legend Publishing (Hong Kong) Ltd, its parent, affiliates, subsidiaries, operational providers and/or partners shall have the sole discretionary right to edit, refuse to post or remove any material submitted to or posted on hashtaglegend.com. The Subscriber agrees to defend, indemnify and hold harmless Legend Publishing (Hong Kong) Ltd, its parents, affiliates, subsidiaries, employees, directors, officers, agents, operational providers and partners from and against all claims and expenses arising out of the use of hashtaglegend.com by the Subscriber or the Subscriber's Account. Either Legend Publishing (Hong Kong) Ltd, its parents, affiliates, subsidiaries, operational providers and/or partners, or the Subscriber may terminate this Agreement at any time. Legend Publishing (Hong Kong) Ltd and hashtaglegend.com and all associated logos are trademarks of Legend Publishing (Hong Kong) Ltd and all rights are reserved. All other trademarks appearing on hashtaglegend.com remain the property of their respective owners. 14. Governing Law This Agreement shall be construed in accordance with the laws of the Hong Kong Special Administrative Region of The People’s Republic of China. 15. Entirety of Agreement This Agreement constitutes the entire agreement of the parties with respect to the subject matter hereof, and supersedes all previous written or oral agreements between the parties with respect to such subject matter.